Plush-Omni, PLA plastic and felt with safety pin clasp. Easily installed on any size plush friend! 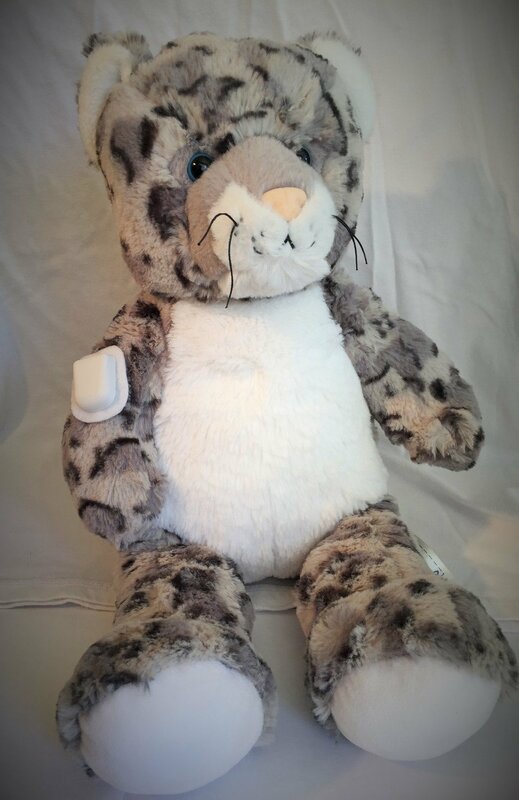 Mini-Omni shown on standard size (15 inch tall) Build a bear (leopard).